Weekly Update 2017-34: Australian electronic/hip hop duo Hermitude, how to improve your reflexes in every part of life, and looking at the solar eclipse (indirectly, of course). Another electronic/hip hop act out of Australia, Hermitude is Luke Dubber (a.k.a. Luke Dubs) and Angus Stuart (a.k.a. El Gusto). The two have been making upbeat and bright electronic music together in various formations 1994, finally landing a particularly interesting musical style with Hermitude in 2000. They've since been promoted to stardom in part to partnering with Flume (which is how I found them originally). Check out Ukiyo and Flume's remix of HyperParadise. I've got my first introductory Arduino post mostly complete, it just needs a few finishing touches before I'll be ready to post it. I've also been practicing like crazy for my Chai Mitzvah ceremony in October, I have a lot to memorize before then! I must admit it's really fun to sing, especially in a language I only sort of understand. It makes me focus more on the sounds and how they mix together. I also caught some fish on my fishing trip last weekend! This week I'll be publishing my first Arduino post in the series, and working more on FriendCanoe in preparation for the next meeting. I've been biking around the city for another summer, and this year I find my reflexes have improved greatly over last year. Even in other parts of life, like the many clumsy moments I experience throughout my day. When I accidentally knock something over, I seem to continually catch it right away. I've been pondering this and have decided to call it improved physical reflexes. I think there are other forms of reflexes as well, that I'd like to somehow focus on improving. Like emotional reflexes, for example. Being able to recover from hearing something upsetting, or from getting angry or sad. When something bad happens to me, I am practicing an approach of finding a bright side as quickly as I can. Even if it's something small, being about to bounce back from negativity to positivity is a skill I'd like to sharpen. Additionally, there are mental or intellectual reflexes. This makes me think of Jeopardy, in which contestants have a very short amount of time to connect the lines of thought in their brains and make some semblance of an answer from tidbits of information they have collected over the years. This sort of reflex is important to keep sharp into old age. As a small first step, I've started to play more word games and Sudoku, which I used to do a lot but have forgotten about for a while. Sudoku is really relaxing while also quite challenging at times, and makes my brain feel super satisfied when I complete a puzzle. 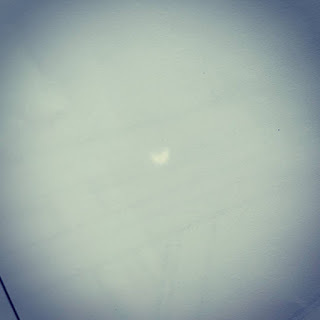 Today, from about 1:10 to 3:40pm, was a solar eclipse. 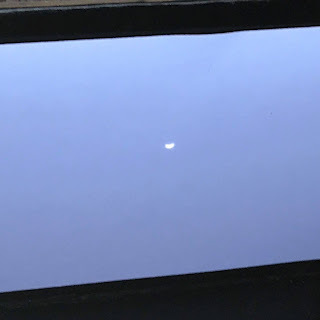 The moon slid between the earth and the sun, causing a brief “nighttime” in the middle of the day. 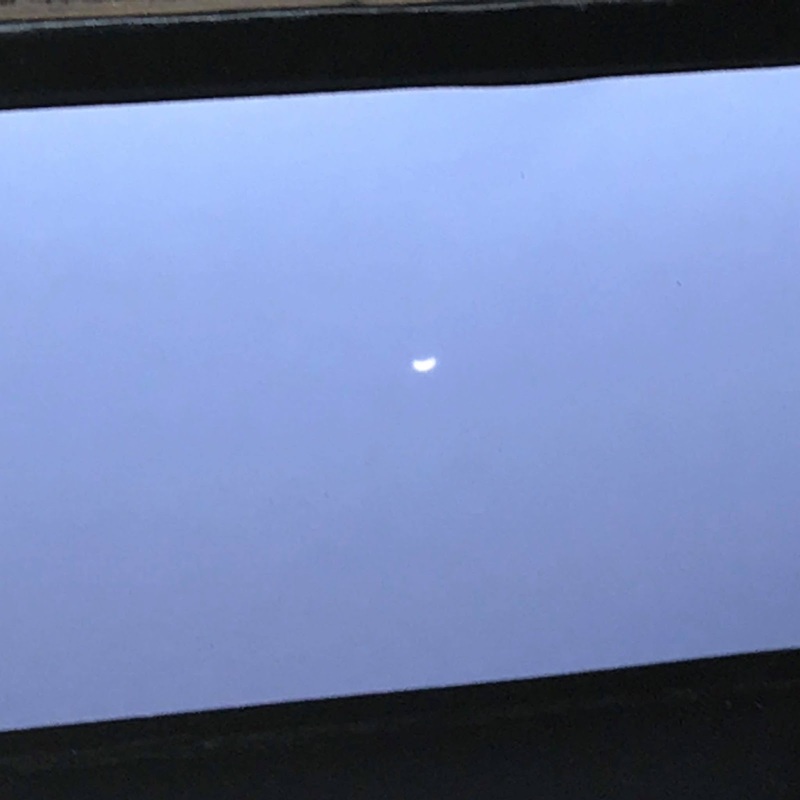 It actually did get a little dark out during the maximum around 2:30, and we felt that the difference in temperature between the sun and shade was remarkably closer than usual. Or maybe it was all the snacks we ate as we waited for the eclipse to happen. I took this picture through my phone camera, with a special pair of eclipse-safe glasses in front of the lens. It kind of worked! 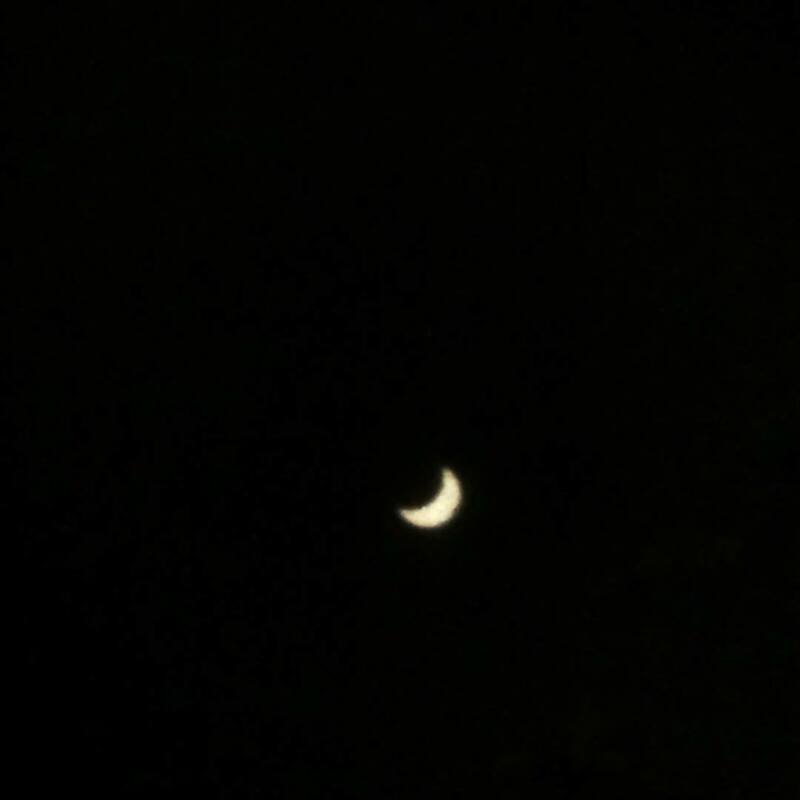 The eclipse is very dangerous to look at with the naked eye. 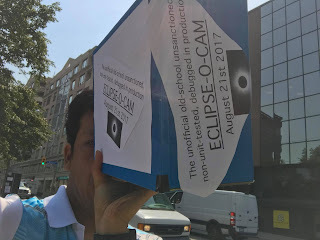 Some magazines mailed out free eclipse-safe glasses (which were what we used to see the eclipse). 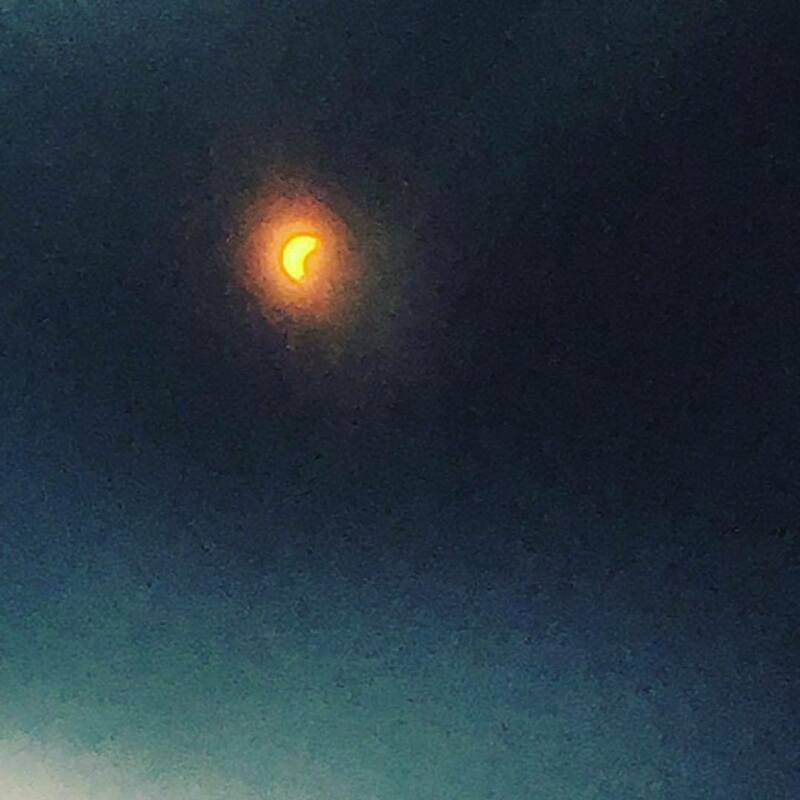 My friends all posted their cool images of the eclipse and different ways that they created to view the eclipse. It was pretty cool to see how industrious everyone was. 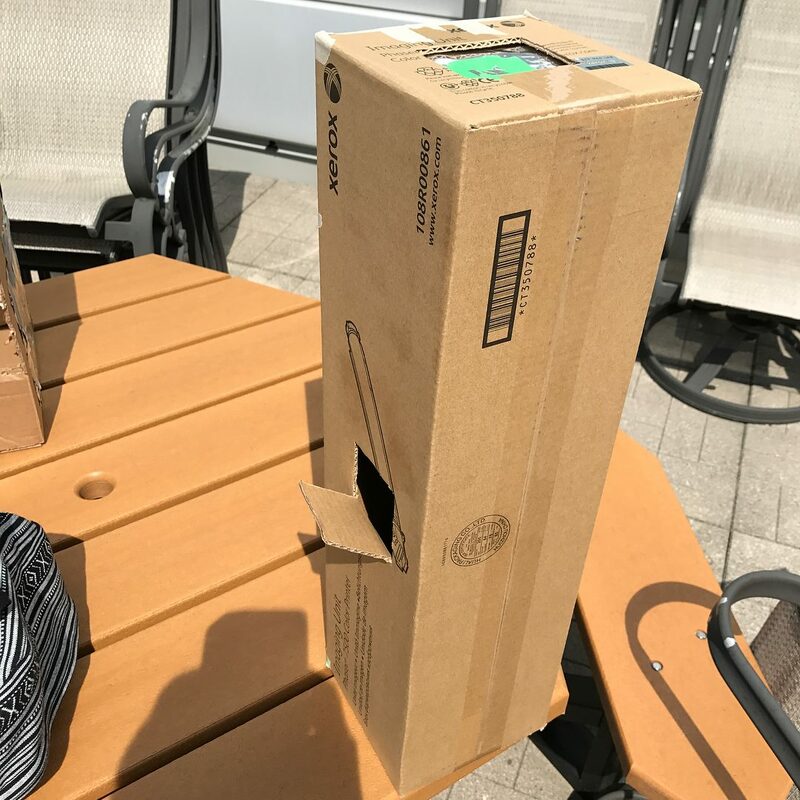 AJ made a cool pinhole camera for her fiance and worked from home so they could see it on their balcony! 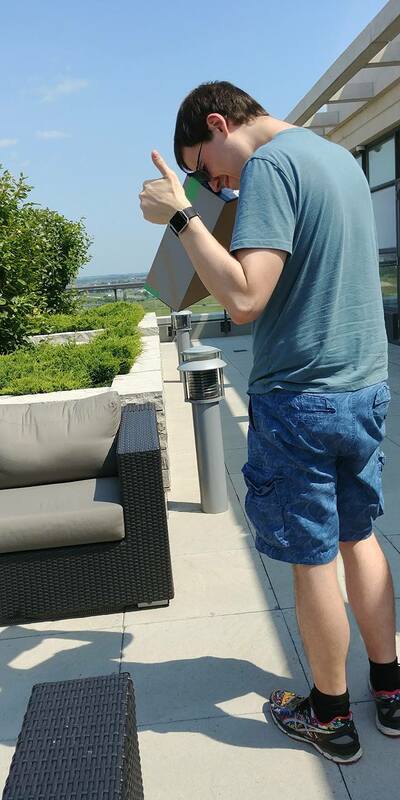 Edward made his own as well, and viewed the eclipse from Yonge and Rosedale on his lunch break. 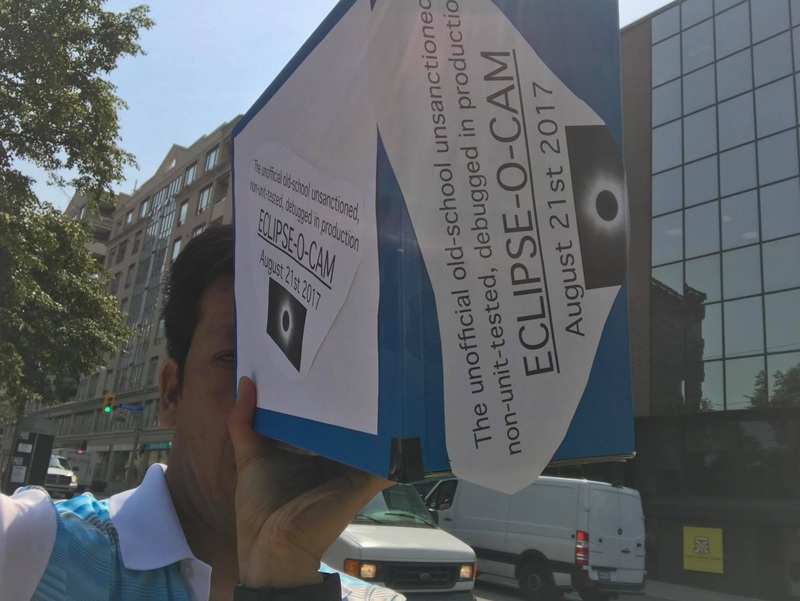 An image of the eclipse on his viewer. Loris made his own as well! An image of the eclipse from Loris' viewer. Really clear! An image of the eclipse from Halifax reflected on Ikea instructions (taken by Peter). 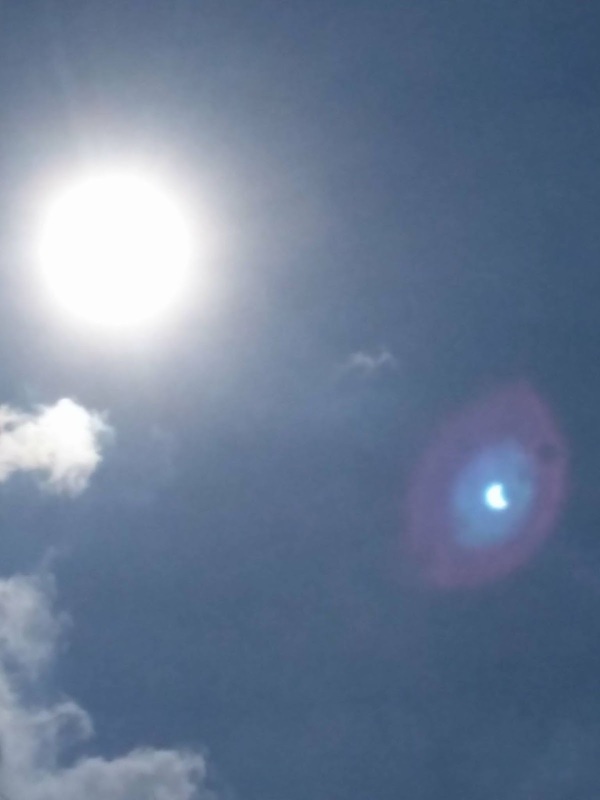 Lens flare will catch the eclipse on a camera, though apparently the eclipse has the power to melt your phone camera lens so be careful (taken by Manuel). 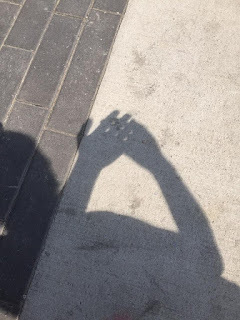 Sarah takes the cake, though, managing to show the eclipse through the small holes between her fingers. I love how a natural phenomenon makes everyone so crafty and industrious. Good job, guys!